The roofline of a property can often be the last thing you think about when improving your home. Timber is particularly vulnerable to the elements and requires continuous and costly maintenance. The problem is acute in the roofline, which is often neglected due to access. 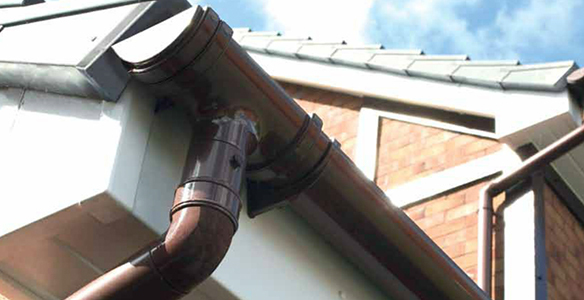 The PVCu soffits, fascias, cladding, guttering and downpipes all conform to all the relevant British Standards for durability, colourfastness, physical performance, section weight, flatness, thermal movement, fire resistance and impact resistance. All our products are carefully installed ensuring your home is protected from the elements for many years to come. 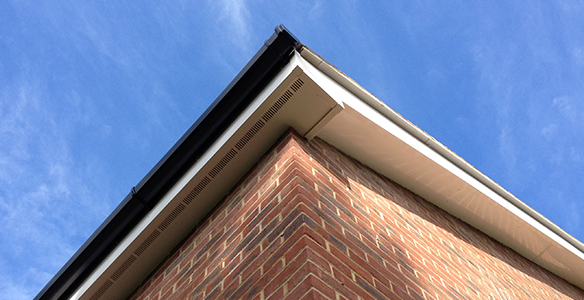 Soffits and Fascias play an important part in protecting your roof and home from the elements and over time can become rotten, uneven or broken. A fascia is a long, straight board that runs along the lower edge of the roof and soffits cover and protect the rafters. Choose from a range of colours and finishes to suit your home. A vital part of your home exterior, gutters are often neglected and can become so clogged with leaves that they break. We offer a durable range that will suit any style of property, and you won’t have to worry about maintenance for years to come. Available in shiplap or or open V-Styles, our cladding is designed for easy installation with a simple clip together fitting system. Whether you’re looking for a rustic timber effect or a contemporary finish, our range of colours and realistic woodgrain finishes mean you create a truly unique appearance for your home. 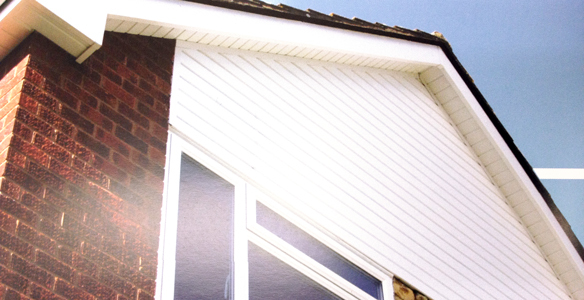 Cellular roofline products are made from PVCu and are guaranteed not to rot, warp, shrink, split, twist or discolour. So you can forget about annual trips up the ladder to repaint!